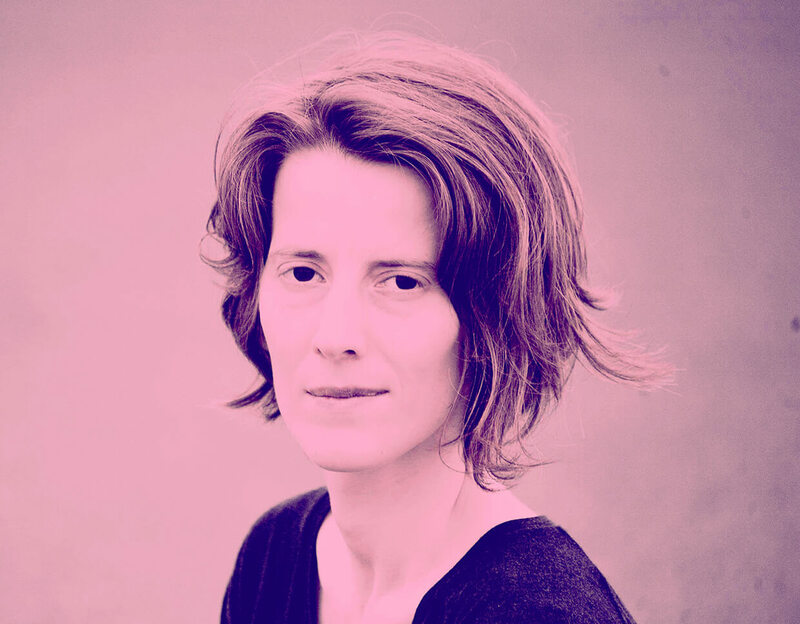 When I read the headline “Do All-Female Lineups Really Help Women In Electronic Music?” on Electronic Beats one morning, it woke me up, delighted me and got on my nerves more than a double espresso. While I understand the merit of catchy headlines, I can’t help thinking these questions go around and around in circles. It’s necessary to keep this debate alive, but simple pro/con battles are sterile. It’s unproductive to question the existential necessity of all-female lineups; the critical inquiries interrogate how and why we construct them and what we wish to achieve by doing so. Curating an all-female lineup isn’t sufficient to make any sense or statement at a time when such events seem to be gaining attention. As many of the subjects in EB’s original article pointed out, intelligent selection is a must for any successful night that aims to be relevant, as is offering good conditions to booked artists. But even when those conditions are met, the critics are just as ferocious. I’ve heard countless arguments against all-female lineups over the years, and since I’m a musician and DJ myself—as well as a curator and promoter—I’ve had the opportunity to observe things from various angles and situations. The most common criticism suggests that such bills are a form of “segregation,” which I refute by pointing out that the entire process of organizing and throwing an event with an all-female lineup nearly always involves men at some stage, whether they’re booking agents, sound engineers or club owners. In each case, it’s highly unlikely that you’ll ever work mostly or even equally with women on a club event. And while I no longer spend too much time arguing with strangers about what some like to call “reverse sexism,” I unfortunately have heard that argument again and again, sometimes even from artists I’ve wanted to book. I guess people think such events are a counter-proposition, but they’re not proposing that all clubs should be DJed only by women instead of men. All-women lineups are a political statement, not a solution in final form. No one is trying to replace one exclusion with another. These events are about disrupting a norm—all-male lineups—that, ironically, people don’t question as much. Self-identified progressives often ask me why I wouldn’t book an even number of men and women instead of an all-female roster. I explain that an event like that could be a good idea if—and only if—it takes a very strong and clearly political stance to denounce ongoing inequality in the field while itself providing a model for how things should be. The 50-50 male:female lineup faces the danger of providing a perfect illusion that renders the inequalities it seeks to correct invisible, thereby restoring silence and comfort. The all-female lineup, as I view it, seeks to disrupt and disturb the silence and comfort of the status quo. The fuss and fierce debate on the subject speaks to its penchant for making people uncomfortable, and no change ever comes from complacency. 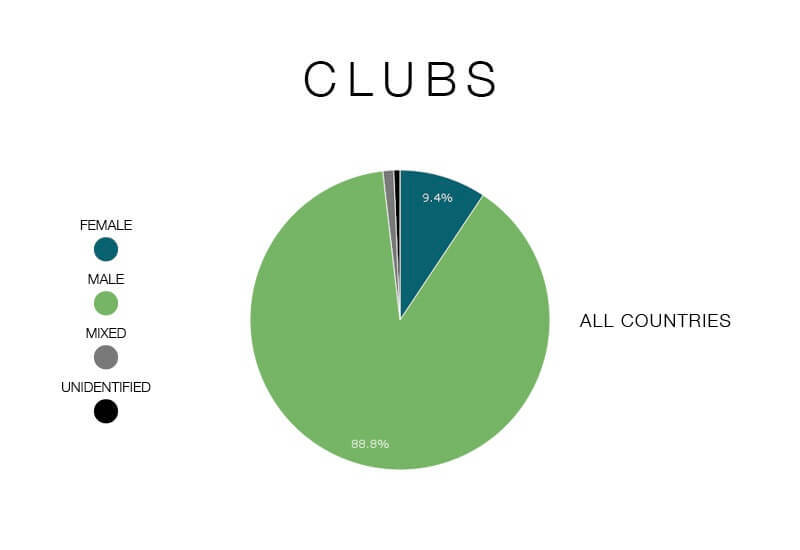 Survey on the gender balance of club bookings from female:pressure, 2014. In general, people seem to focus more on all-female lineups’ limitations rather than their positive effects, and that probably shows how deeply rooted sexism is. While I agree that these lineups aren’t a cure-all against sexism in the music industry, I strongly believe that we should support them and take part when they’re displayed properly. Putting all-female events in the public sphere is a strong statement about giving space to women in a place that usually doesn’t. If you think the balance between male and female artists is typically pretty even these days—well, you’re wrong. Various studies prove that women generally make up about ten percent of electronic music lineups. So by providing space and visibility, such events play an integral role in creating new opportunities for women. And visibility is the key to dismantling stereotypes like the idea that there aren’t many women interested in electronic music. This, in turn, inspires more young women and girls to get involved. If you’re lucky enough to work with a genuinely progressive club, you’ll exchange and transform ideas based on feedback from the artistic curators and bookers. In the end, the whole process is fundamentally important because of the problems and inequalities it highlights. Additionally, the curation process can alert your colleagues’ attention to artists they might not have known. Perhaps they’ll start to book more female artists and even adopt some of your picks as regulars or residents. Of course, I question my work constantly and wonder whether I should organize parties for any and every person who doesn’t get enough opportunities or visibility. Everything is interconnected, and we must not forget the intersectional and inclusive aspect of any serious political work. I just think that sometimes, focusing solely on one topic is necessary to achieve deeper results. I’m lucky to live in Berlin, where the queer scene is robust and political with many parties that display very diverse lineups. These initiatives are undeniably vital, but I believe it’s also important to occasionally focus on one issue at a time and to be specific about it. We need all these alternatives. And for me, hosting a night that fights sexism isn’t at all about forgetting the rest. To conclude, while all-female lineups aren’t the silver bullet that people desire, they’re an essential part of combatting sexism and inequality. Dismissing such initiatives because they don’t fix everything and/or aren’t perfect is neither constructive nor healing. Resistance is a complex organism with various requirements; just as we need oxygen, water and food to remain healthy, feminism and other forms of resistance for social justice require different tools and forms of activism. The sum of them all offers a solution. Stay strong! Kaltès is a musician, DJ and curator based in Berlin. She is an active member of female:pressure‘s international network, with whom she hosts a series of eponymous club nights at Tresor in Berlin. Find Kaltès on SoundCloud here.